Quarterly revenues up? Check. Annually and sequentially? Check. 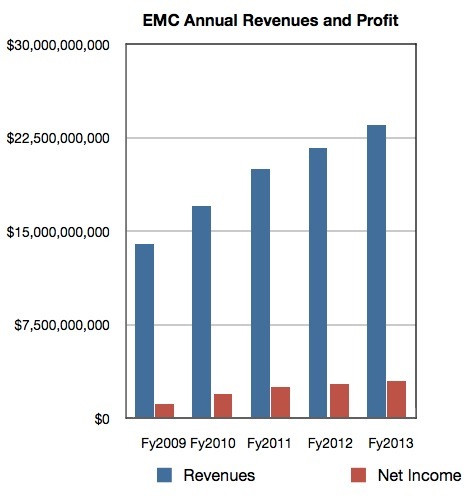 Annual revenues and profits? The same pattern. Any problems? Nope. Just another year at CommVault. The company, which supplies Simpana backup, archiving and data data management software, operates like a Swiss watch and makes business look like child's play. 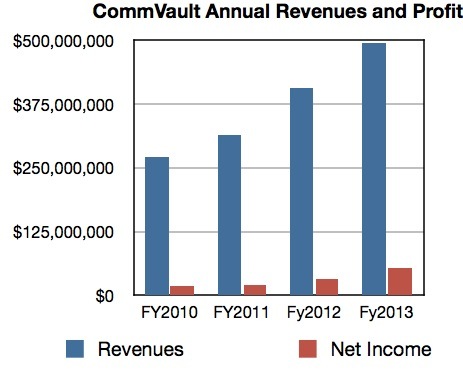 For its fourth fiscal 2013 quarter CommVault's revenues were $138.3 million, up 8 per cent over the previous quarter and 21 per cent year-on-year. Net income was $17 million, up 73.5 per cent year-on-year and 39 per cent sequentially. CommVault's profit as a percentage of net revenues was 12.3 percent, the highest value El Reg's storage desk has seen in three years of watching the company. The full year saw revenues of $495.9 million, a 22 per cent uplift on the previous year, and profits of $53.2 million, 67 per cent higher than a year ago. CommVault's chairman, president and CEO, N. Robert Hammer said the company's results were "driven by another quarter of record enterprise software deals and strong demand both domestically and internationally." Why the difference in share price history? That's a matter of investor psychology and market sentiment, and trying to make sense of that is like listening to the ravings of a lunatic. We won't go there. But if you do want to go there then a forum topic has been set up here for your comments and discussion points.